How many times have you searched a song or video on Google and clicked on its YouTube link, only to find it replaced by a copyright claim message? While it’s a bit of a drag, owners do have a right to control their own content. In the past, it seemed that those same rules didn’t apply to Google’s search engine — click a link and you’d get the content — but things are about to change. 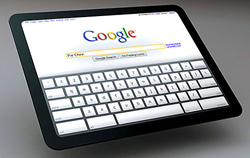 Google will soon start sanctioning websites that publish infringed content. It’s a strong policy decision. In the past, the company was routinely accused of having the perfect search engine for finding free copies of licensed materials. The new tool, imaginatively called “Removing Content From Google,” seems effective and provides some protection for content owners. Sites like Facebook, Twitter, Tumblr and IMDB will most likely remain on Google’s good side. And you know folks at Google unit YouTube aren’t sweating. Still, one can assume that an ongoing offensive to hunt infringed materials is in the offing. We might start to see competing file share websites filing take down requests against each other — and that will create a whole new set of problems. The new protocols are a mixed bag, providing good news for both pirates and rights holders. Google won’t completely remove links that lead to infringed materials. Instead it will down-rank websites that receive a high number of infringement notices from copyright holders. If you use YouTube, you already know that infringed content is available. When Google starts changing its search experience, what will be the consequences for “bad” websites? How many take-down reports does Google have to receive before downgrading one, and how will it affect YouTube and other websites that file share? Does Web Game Scalability Demand NoSQL? Then what’s stopping a rival search engine from replacing google as no.1? If people get better search results from another search engine because sites like YouTube(seriously?) are not coming up on google search, people will simply migrate to the unfiltered search engine. Why is google the no.1 engine? Because it provides the best results to searches. If that element is removed I don’t think they will stay no.1 for long. I think google also realized this and that is why they aren’t removing the links completely. They are just moving them down in the results order. “it will down-rank websites”. I understand trying to fight piracy, but I don’t believe “down-ranking” websites will stop anything. Just seems like an annoyance that will turn people away from google search.